Huawei, at the event in Paris, launched its latest premium high-end phones, the P30, and P30 Pro. The Huawei P30 Pro follows the footprint of last year’s P20 Pro and comes with impressive camera hardware. If you don’t know, the P20 Pro was the first phone to launch with triple cameras, and its camera hardware are amazing. The P30 Pro comes with a Quad Camera setup that includes the unique periscope camera with 5X Optical Zoom. Even before the launch, we knew the design so, in this article, we will talk about both the devices in a nutshell. 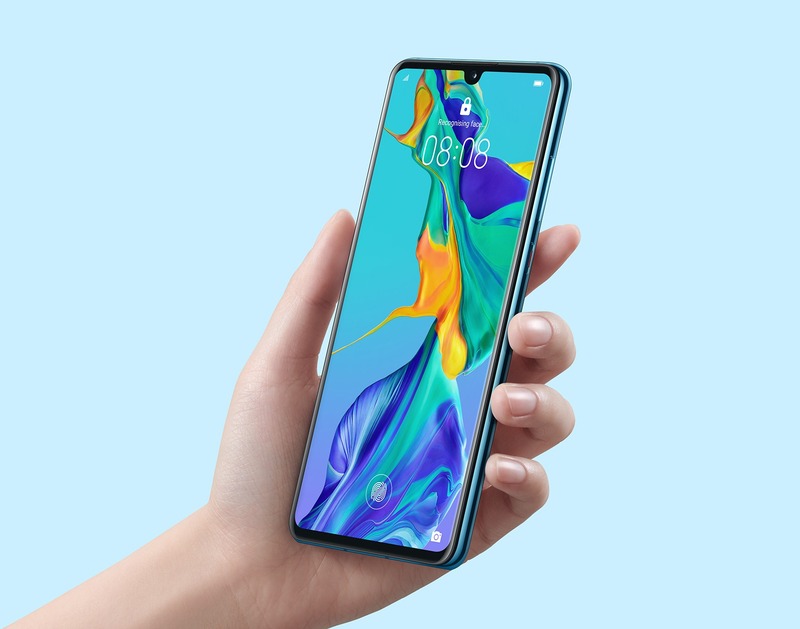 The Huawei P30 features a glass sandwich design and has a triple camera setup on the rear. Unlike the P30 Pro, it doesn’t have a periscope camera with 5X Optical Zoom. There is a tiny waterdrop notch on the front and an in-display fingerprint reader. The P30 does have a headphone jack along with the USB Type-C port. This is something that the P30 Pro lacks. Moreover, the P30 doesn’t have wireless charging and supports 22.5W charging compared to the 40W Fast charging that the P30 Pro has. Talking about the specifications, the Huawei P30 has a 6.1-inch OLED Full-HD+ display with a resolution of 2340*1080 pixels. Under the hood, there is a 7nm Kirin 980 processor that features Dual NPUs. There is 6/8GB RAM and 128GB storage. Coming to the cameras, the P30 has triple cameras that include a primary 40MP SuperSpectrum camera with f/1.8 aperture, an 8MP telephoto camera with f/2.4 aperture & a 16MP ultra-wide-angle camera with f/2.2 aperture. On the front, there is a single 32MP f/2.0 camera. There is a 3,650mAH battery underneath that, as mentioned above, supports 22.5W Fast Charging. Android 9 Pie with EMUI 9.1 runs out of the box. Unlike the IP68 rating of the P30 Pro, Huawei P30 gets an IP53 rating. The P30 comes in a lot of color options including Amber Sunrise, Breathing Crystal, Pearl white, Aurora, and Black. The phone is already up for pre-order, and the price starts at €799 for the 6GB + 128GB variant. The Huawei P30 Pro looks pretty similar to the P30, but there are some significant design changes like a dual curved screen and a Quad-Camera setup on the back. Moreover, there is no headphone jack, and the phone comes with IP68 rating & wireless charging. The P30 Pro features a 6.47-inch AMOLED display with Full-HD+ resolution. It is worth mentioning that the Mate 20 Pro of last year had a QHD+ display, but for some reasons, Huawei decided to stick with FHD+ display on the P30 Pro this year. The processor remains the same, i.e., 7nm Kirin 980. There is 8GB RAM and 128/256/512GB storage. Android 9 Pie with EMUI 9.1 runs out of the box. Let’s talk about the cameras. The Huawei P30 Pro has a Quad camera setup on the rear that includes a primary 40MP SuperSpectrum camera with f/1.6 aperture and OIS, a second 20MP Ultra-Wide-Angle camera with f/2.2 aperture, an 8MP telephoto (periscope) camera with f/3.4 aperture, OIS & 5X Optical Zoom, and finally the Huawei Time-Of-Flight (TOF) camera. There is 10X Hybrid Zoom, and if you want to go further than that, you can go up to 50X Digital Zoom. The front camera remains the same 32MP f/2.0 unit. The Huawei P30 Pro packs in a massive 4,200mAh battery that supports 40W SuperCharge and 15W Fast Wireless Charging. The P30 Pro comes in Amber Sunrise, Aurora, Breathing Crystal, Black, and Pearl White. The price starts at €999 for the 8GB + 128GB variant & goes up to €1,099 & €1,249 for the 256GB and 512GB variants respectively. Like the P30, the Huawei P30 Pro is already up for pre-order.